I’ve had several reports of velvetbean caterpillar out of the Piedmont area. This is a migratory insect that we usually only see in coastal counties late (after September), but probably blew farther inland courtesy of hurricane Florence. 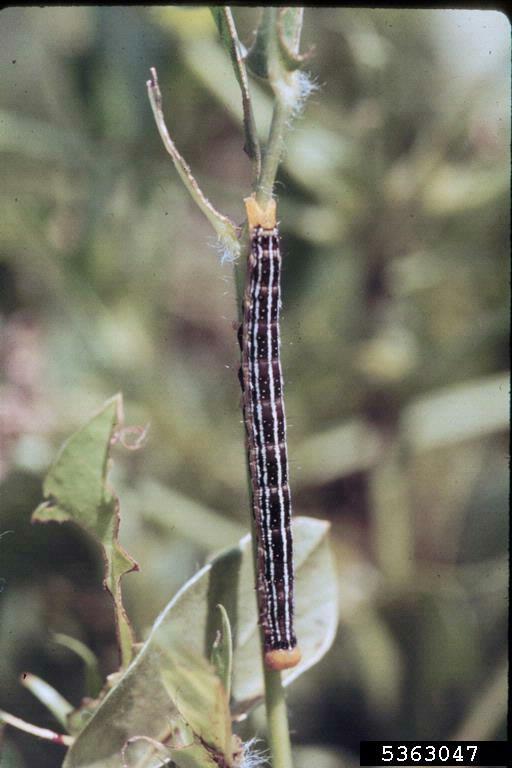 Velvetbean caterpillars are voracious feeders and can stem a field in a weekend. Any beans that are not yet at R7 could be at risk for yield loss if the defoliation is severe enough. 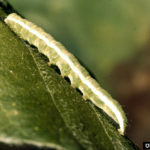 Also, under severe defoliation and the absence of leaves, caterpillars can turn their attention to pods, clipping them. 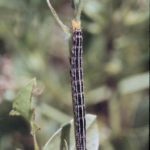 Therefore, it is critical to protect fields with high numbers of caterpillars, especially fields that are not close to maturity. They can easily be controlled with a variety of insecticides listed on p. 92 in the NC Agricultural Chemicals Manual. Sometimes these caterpillars are confused with armyworms, but they have a forked tail and, when disturbed, wriggle violently. They also lack the patterning on the head and “spots” on the side of the body characteristic of many armyworms. 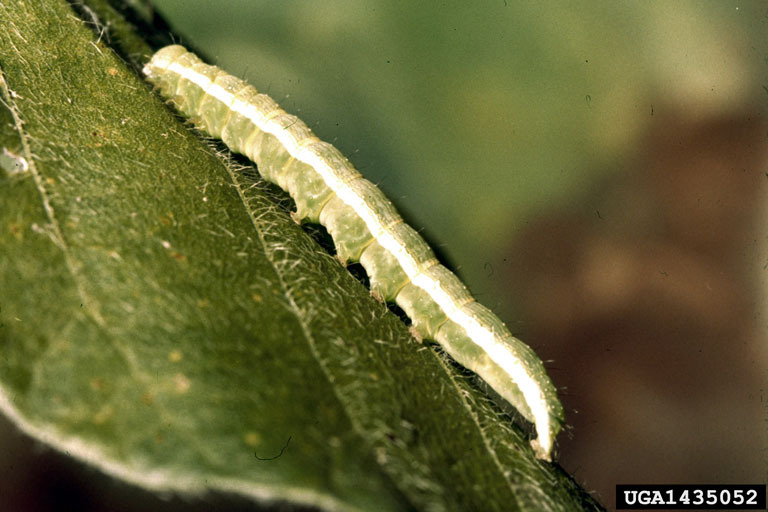 More information on identification can be found in the Soybean Insect Guide.